The mention on “Il Golosario” is meaningful for the young company from Torre de Roveri: “Punto Uno is the result of the joining between passion for our territory and research: we wanted to create a wine with a strong personality and great quality that could be also soft, pleasing and enjoyable for a wide range of consumers. 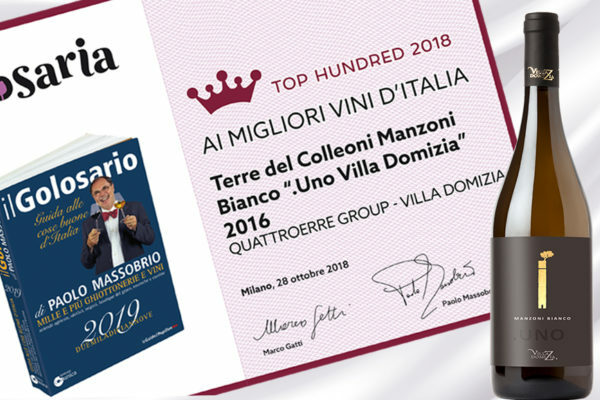 The wine that best represents the way we work; a starting point for a production process that is appreciated and makes us proud” stated Enrico Rota, business manager of Villa Domizia. In the article on “L’Eco di Bergamo” the journalist Roberto Vitali reports a satisfaction statement by Sergio Cantoni, president of Consorzio Valcalepio: “this summer was full of satisfactions for our Consorzio”.